Conrad Kacsik has the tools and talent to keep your industrial furnace and controls compliant with Nadcap standards, AMS2750 pyrometry specifications and CQI-9 standards. Our temperature uniformity surveys measure overall equipment performance and ensure that furnaces are capable of repeatable and accurate performance. We can also perform ISO/IEC 17025 accredited testing to meet the E145 specification, which relates to gravity-convection and forced-ventilation ovens for the polymer and rubber industry. 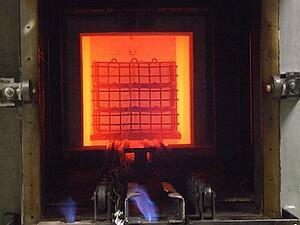 We have factory-trained technicians who evaluate all types of heat treating and vacuum furnaces. If a furnace fails to pass a survey, we offer comprehensive assessment, troubleshooting and repair services that will help you avoid downtime and deliver consistently superior products.